We’ve all dreamed about the sort of trip where we hit the road for weeks at a time, no need to unpack or stop at highway-side diners, adventuring on our own time and following our own trails. That's the kind of freedom that comes with travelling by trailer. But what if you don’t have an RV? 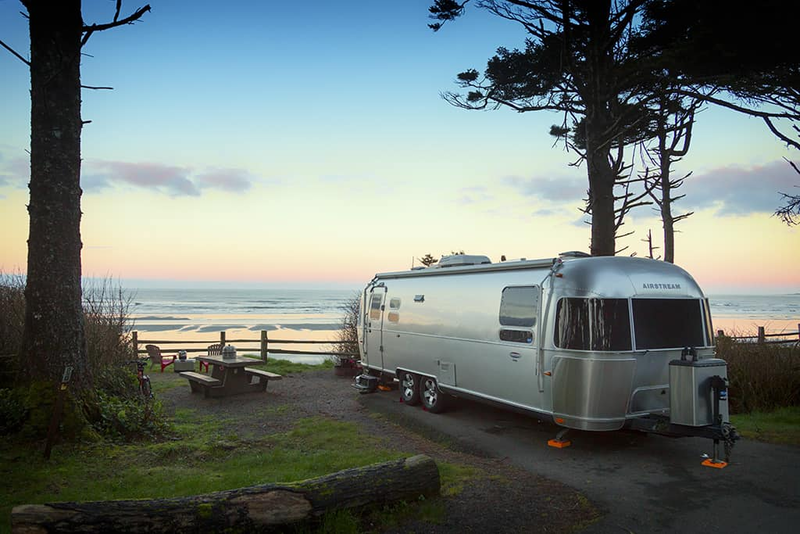 Wheel Estate is a small business that lets you rent your perfect trailer for as long or as little as you need. Take off for the weekend or book one for a month. You can create your own adventure through the provinces and see the country your way. 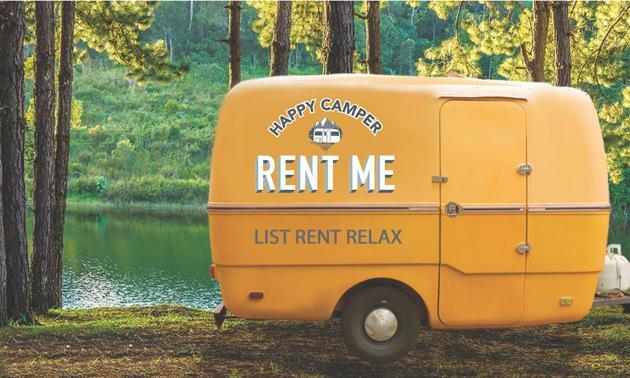 Think AirBnb on wheels. 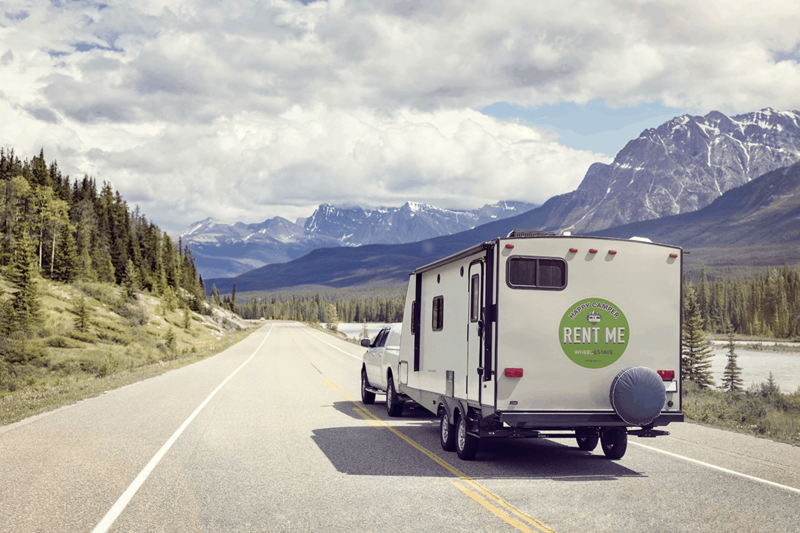 It’s the legitimacy of booking through an online platform coupled by the freedom of having a trailer—without the high cost of buying your own. A quick and comfortable set-up for those short weekend getaways. 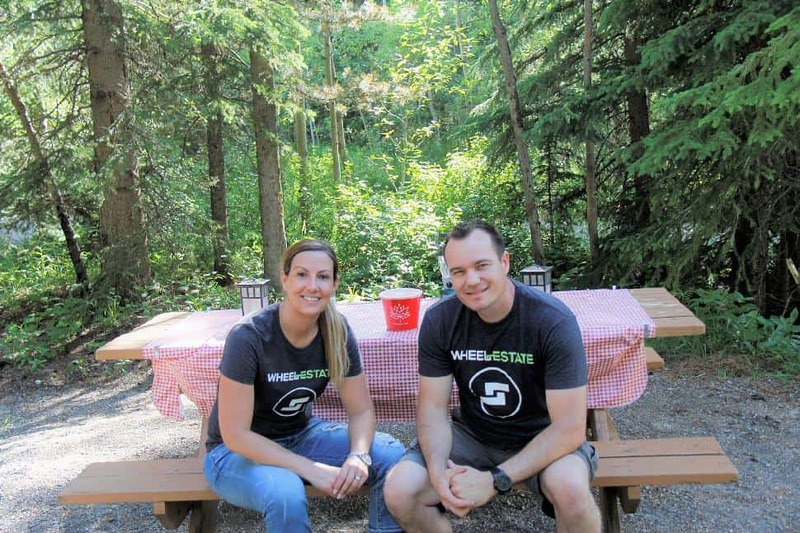 Chad and Cherie recommend stopping to camp at Mount Kidd in Kananaskis. Enjoy the Nordic Spa, multiple ski hills and countless hiking trails nearby. This is the perfect spot if you need to escape for a few days for some relaxation and fun! The cartoon-like teardrop trailer is lightweight and made for even mid-sized cars to pull. 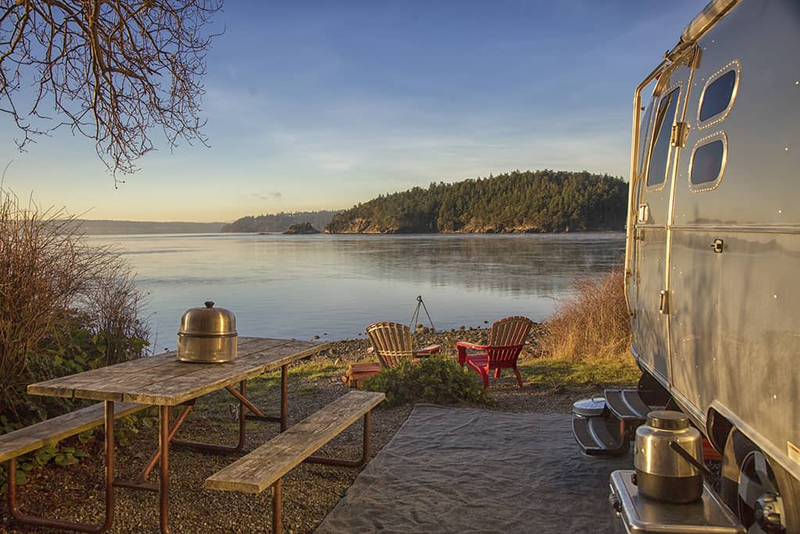 Pick it up in Victoria and take off for a Vancouver Island adventure. We recommend stopping at Pacific Rim National Park Reserve, which is a magnet for hikers and surfers. The West Coast Trail is an awesome challenge, but the Broken Group Islands also offer backcountry adventures. Which will you choose? 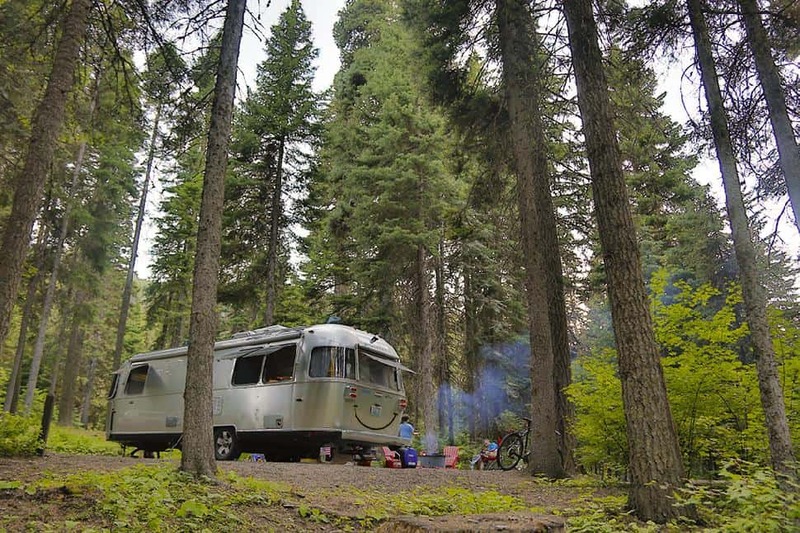 Family time is done right in this spacious trailer. Complete with a bunkhouse for the kids, there’s plenty of space to relax and enjoy. The Muskoka area has some of the best camping in Ontario, so you can’t go wrong when choosing where to stay. We recommend Arrowhead Provincial Park, mainly for the fairy tale-like ice skating trail through the forest. Stocked with everything you could need, this trailer goes the distance. Enjoy the wilderness from the comforts of your temporary “home” or park in the gorgeous Kootenay National Park and adventure on foot. Chad and Cherie’s long-distance trips always include a stay at Redstreak Campground for the beautiful hike down to the hot springs. 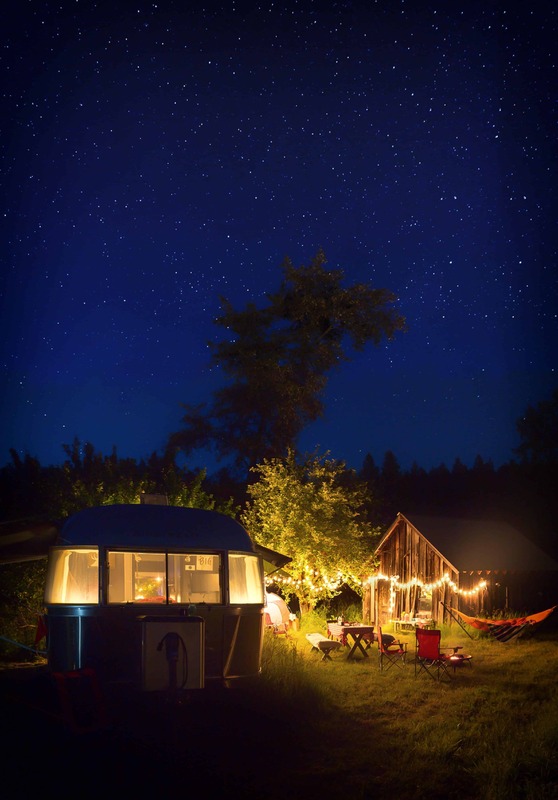 No need to worry about booking a powered site, this trailer runs on solar. Plan the fun, and the trailer will take care of the rest. You won’t have to travel far: Castle Provincial Park is nearby and has plenty of year-round activities. Don’t miss ski season at Castle Mountain! Have you explored Canada by RV?